UltraLuxe Nourishing Wash is a unique foaming oil cleanser that hydrates as well as purifies the skin of pollutants, makeup and excess surface oils. Rich in antioxidants, this soap-free cleanser is formulated with a blend of pomegranate, rosemary leaf, verbena and other nourishing essential oils that will leave your skin clean and glowing. 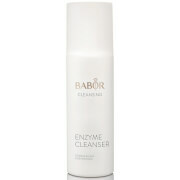 Removes excess surface oils while purifying pores and dissolving pollutants. Rich in antioxidants and nourishing essential oils. 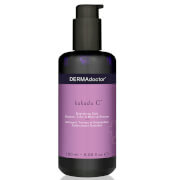 Gentle, hydrating formula leaves skin fresh and glowing. Caprylic/Capric Triglyceride, Carthamus Tinctorious (Safflower) Seed Oil, Prunus Armeniaca (Apricot) Kernel Oil, PEG-40 Sorbitan Peroleate, Helianthus Annuus Sunflower Seed Oil, Cetyl Ethylhexanoate, C12-15 Alkyl Benzoate, Tocopheryl Acetate, Tetrahexyldecyl Ascorbate, Tocopherol, Punica Granatum Seed Oil, Rosemarinus Officinalis (Rosemary) Leaf Oil, Cupressus Sempervirens Oil, Verbena Officinalis Flower Oil, Menthol.